A sad scene outside a local wine bar....so much for the townsfolk and council trying to bring in a bit of colour on to our drab streets? ..and the majority of stubs are the same brand from the same person? I regard this as littering! 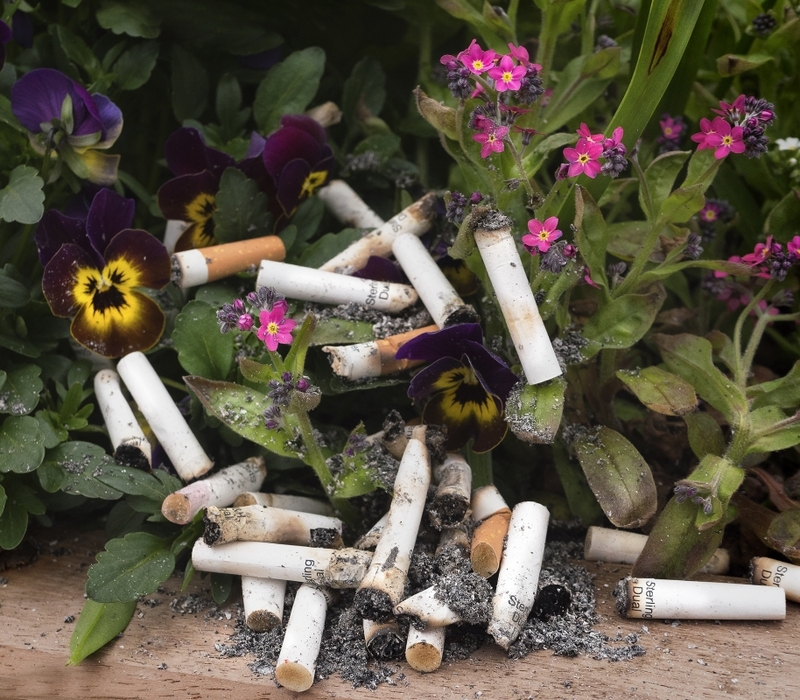 I've noticed people in our town centre stubbing out their fags in flower pots - strange behaviour indeed. But..... for you it's produced a strong image that's a great piece of social commentary. That image seems to reflect the inconsideration and disregard for others and the environment that is increasingly prevalent in some sections of our society. At first I found it really sad . and then I felt quite angry about it .. It's the narrative and the execution of it that makes this a memorable photo Fooj ... really well done..
To me a strong message about day to day litter pollution that degrades our daily life. Reminds me of when our next door neighbour looked after our garden while we were away for two weeks - flower pots with fag ends in them. Horrible. I made an A4 print of the pic, to hand to the owners of the wine-bar-Art Gallery.....only to find the builders in ....changing it into an...Ale House...whatever that is......let us all hope that they place proper ash-bins outside at the next event. Whichever, I will be keeping tabs in case this happens again.